Some of the links below are affiliate links, meaning, at no additional cost to you, I will earn a commission if you choose to make a purchase. 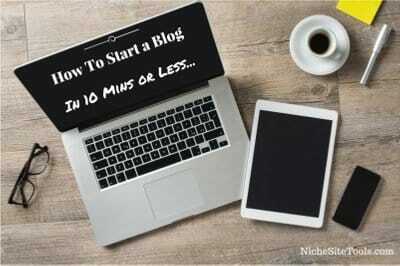 If you’re wanting to know how to start a blog, you’ve come to the right place. There has never been a better time to get started online, than right now. Whether you’re looking to create some side income, start a full-fledged online business, or just wanting to write, starting a blog or website is the most important first step towards achieving your goals. By following the simple steps below, you will have your own blog or website, running on WordPress, in 10 minutes or less. 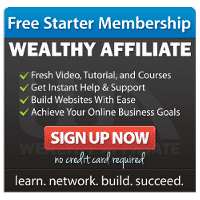 These are the exact same steps that myself and many others have followed, to get started online. A hosting company provides you with the space to store your blog and all related files online. When it comes to hosting, it is important to pick a great company, with a proven track record, right from the start. 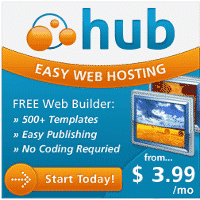 For hosting, I recommend and utilize Webhosting Hub. That is where this site and my main niche sites have been hosted all along. I have been a very happy customer for the last 4+ years. 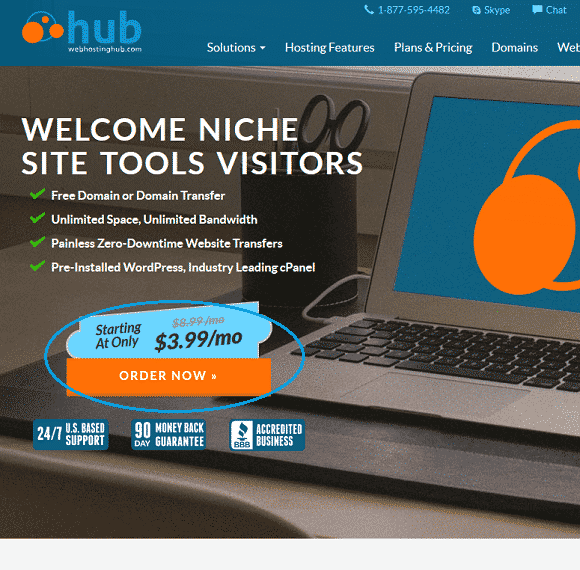 I negotiated a special discount, specifically for Niche Site Tools customers, that will provide you $1 off hosting each month, for the entire length of your initial sign-up. I highly recommend the Spark package, which will allow you to create two sites with unlimited storage and bandwidth for only $3.99/month. Start by clicking here to sign-up with Webhosting Hub. That link will launch in a new window, so that you can still follow along with the remaining steps. Click the ‘Order Now’ button. Note: The screenshots included here may vary slightly from what you see on your screen, as they are constantly keeping things fresh with new graphics, but the general process will be the same. Click the ‘Order Now’ button for the plan you would like. For folks just starting out, I definitely recommend the Spark plan. 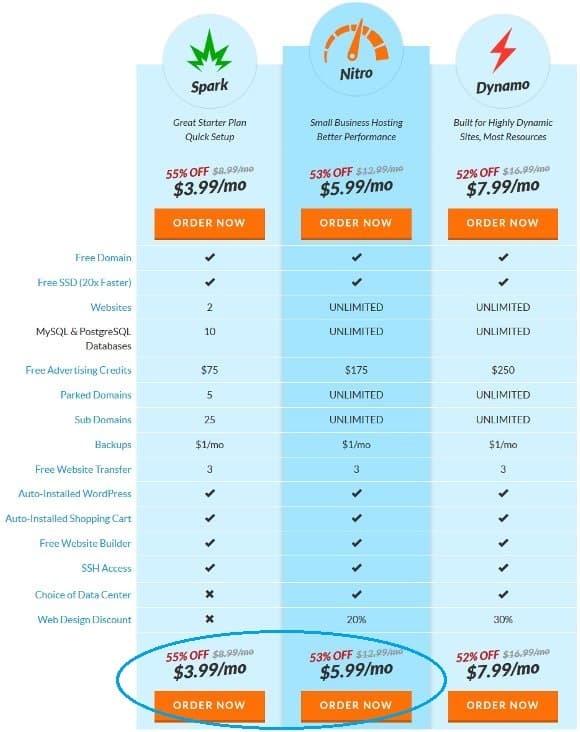 The Spark plan provides you with everything you need to get 2 websites up and running, for only $3.99/mo. If you know that you want to build more than 2 websites right from the start, choose the Nitro unlimited plan at only $5.99/mo. The Dynamo plan is for folks that need a bunch of extra horsepower. This would be someone that has a very well established site with lots of traffic and demanding needs for hosting resources. Most folks will not need the Dynamo plan, but the good part is that it is there, if the need arises and you can upgrade at any time. If you don’t yet have a domain name, enter your desired domain name in the new domain box on the left and select ‘Search Domain’. 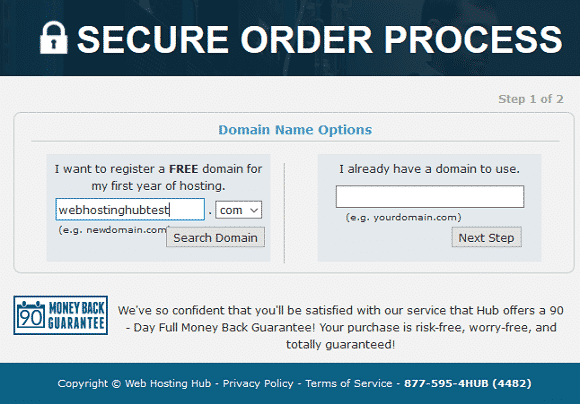 Webhosting Hub will then go out and make sure that domain name is available. When choosing a domain name, I suggest utilizing a .com whenever possible or a .net or .org as a second choice. Don’t use hyphens, numbers or words that are difficult to say or spell and try to choose a name that is easy to remember. If you have a domain name already, enter that in the box on the right instead and click ‘Next Step’. On the next page, enter your account information. 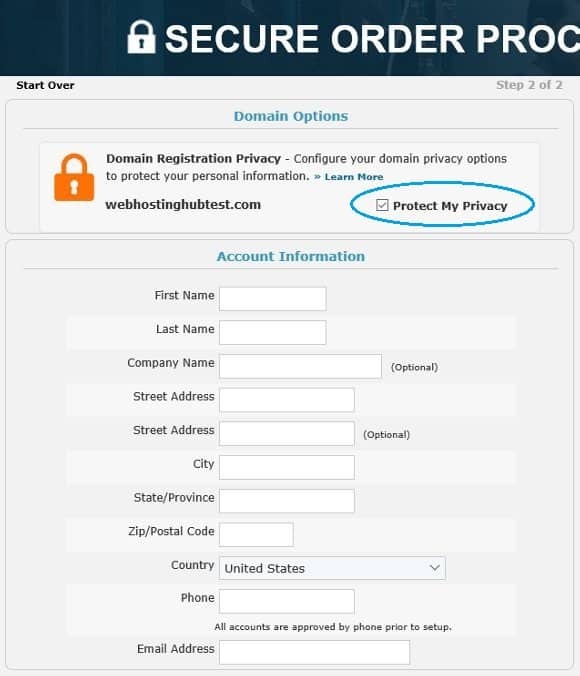 Be sure to use your best email address, as that is where your account details will be sent. If you’ll be signing up for a new domain, I definitely recommend checking the ‘Protect My Privacy’ option, to prevent spam and keep your information private. In the middle of the account information screen, you will see the package information section. On that screen, you will see a number of options to choose from. I personally don’t pay for the additional $1 per month for them to take backups for you, but that might be something of interest to you. Instead, I utilize the free version of the Updraft Plus Backup and Restore plugin and backup my site automatically each week. If you are brand new, there is no need to upgrade to Nitro just yet, so you can scroll down to the next part. 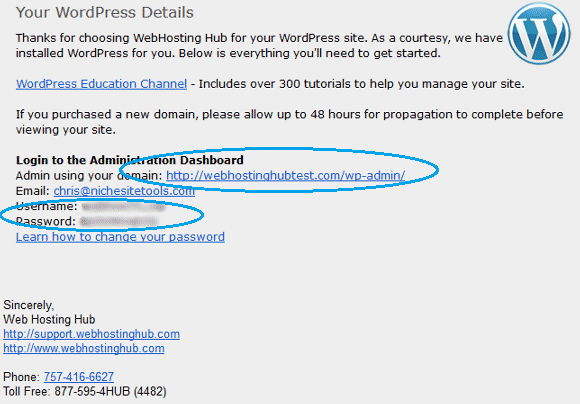 This next part provides the option to have Webhosting Hub automatically install WordPress for you for free. If you’re new to WordPress, that will probably be the best option for you. Click the box to automatically install WordPress, then scroll down to the account plan section. Under account plan, I recommend choosing the longest term that you can afford. That will give you the cheapest rate, for the longest period of time. That is something I wish I knew, when I first started out. My affiliate commission is the same, no matter which term you choose, so you can be sure I’m not biased when I say that. 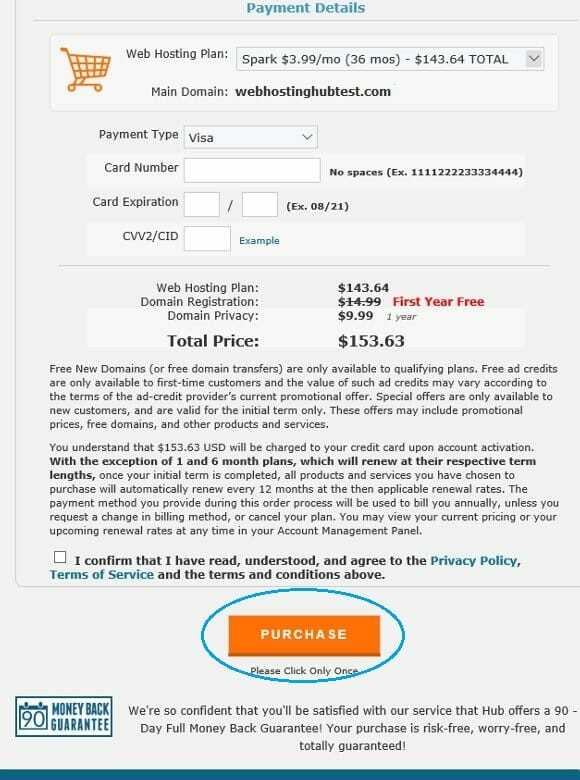 If you already have your own domain name, your total will be even cheaper, $143.64 total for your first 3 years of hosting. On the bottom of the screen, enter your billing information, click on the check box to accept the terms and click on the ‘Purchase’ button. You will receive an email with your account and password shortly and you’ll also get a quick confirmation phone call for account verification purposes. Congrats, you now have a domain name and hosting plan, great job so far! 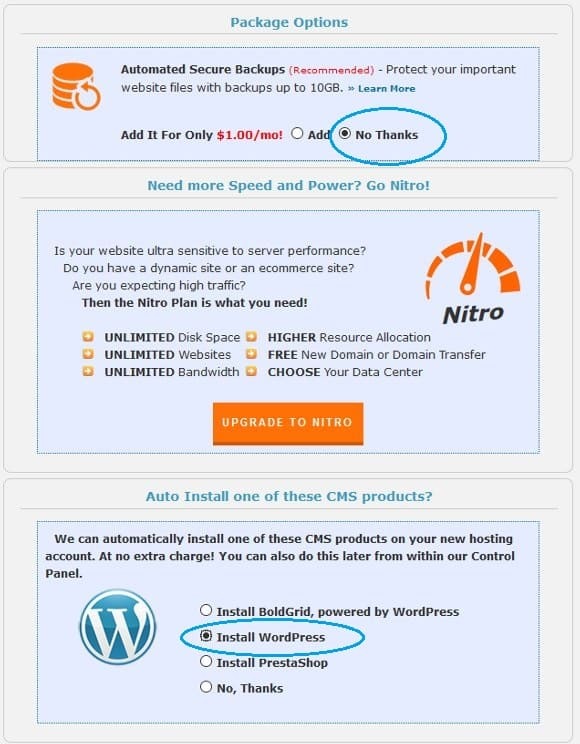 One of the great features of Webhosting Hub is the ability to have them automatically install WordPress for you. Since we selected that option when we signed up for an account above, this part is already done, which makes things super easy. 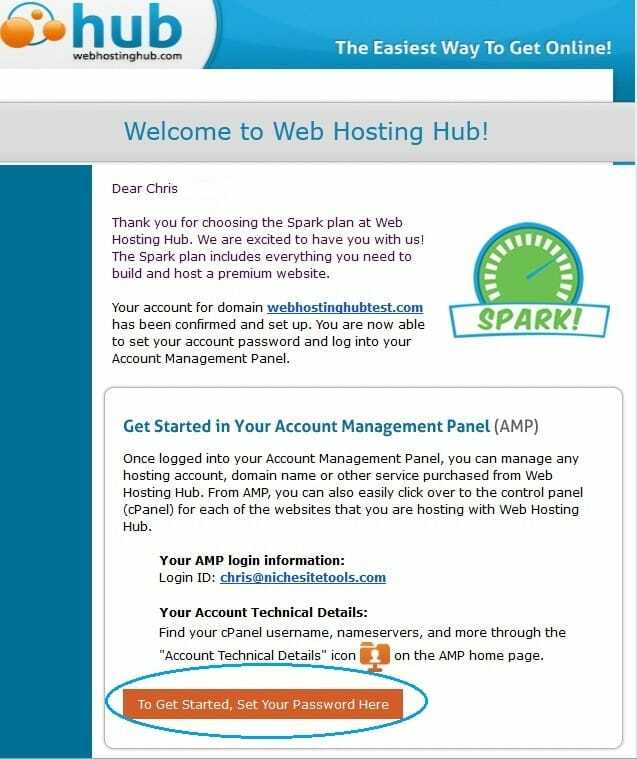 Click the ‘To Get Started, Set Your Password Here’ box above to create your account password for your Webhosting Hub AMP account. AMP stands for Account Management Panel. In that same email at the bottom, you will see your separate account/password details and the login link for your WordPress website. Make note of those details. Click the link to login to the Administration Dashboard for your site and enter the login ID and password provided. 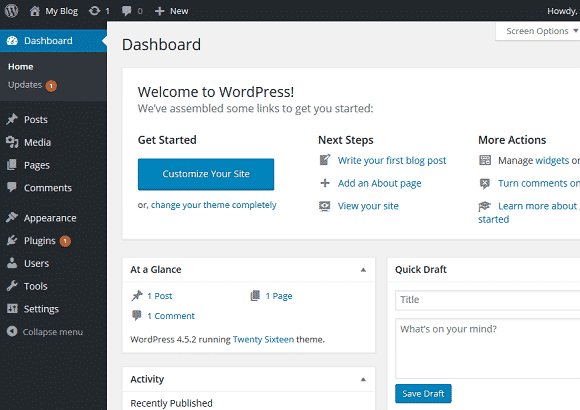 After you login, you should see a screen similar to the one below, which is called the WordPress Dashboard. That is where all the magic happens. The WordPress Dashboard is the location where you go to change the look and feel of your blog and that is also where you’ll go to create your content. 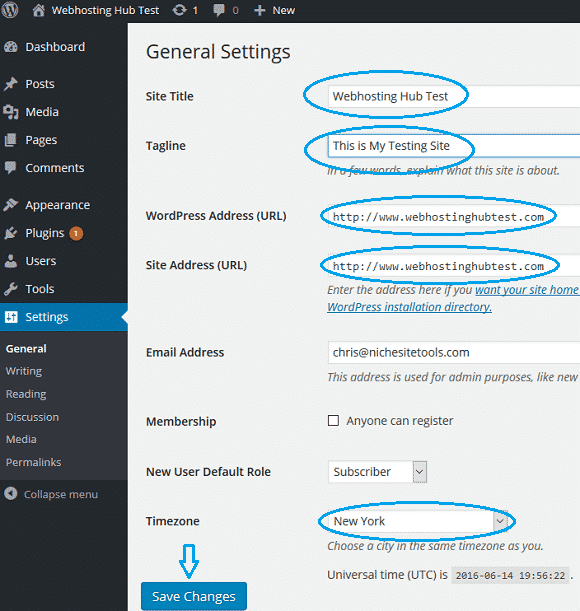 The first thing you need to do is make a few quick changes in to your WordPress settings. 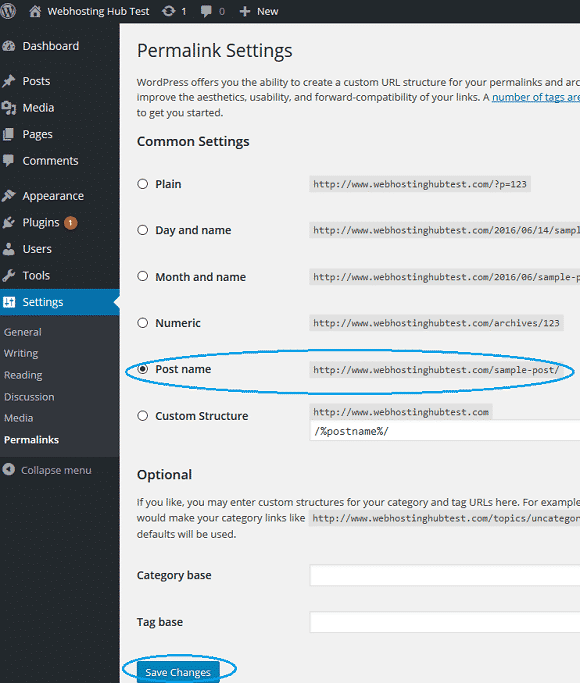 In the WordPress Dashboard, go to Settings on the left hand side, select General and then fill in your site Site Title, Tagline, WordPress Address/Site Address, Timezone and then scroll down and click the ‘Save Changes’ button all the way at the bottom. I personally like to put in the www before the website address. It is a matter of personal preference. You can do it with or without, just be sure to be consistent when you link to your own internal content. Then there is just one more quick change to make for your Permalink structure. A permalink is just the address people will see when you create a new post or page. By default it is an ugly looking URL that doesn’t do anything to help you with SEO. We want to change it so that the URL contains keywords from your post title. To change that, go to Settings, Permalinks and then select the ‘Post name’ radio button and click the ‘Save Changes’ button at the bottom of the page. You now have a fully functional WordPress blog/website! You’re now ready to create your first piece of content. Now that you’ve got your blog setup, you’ll want to begin creating some great content to bring in readers. If you’re drawing a blank on what to write about, subscribe to my email list to instantly receive my free Keyword Brainstorming guide. That short eGuide will provide you with my 10 best tips, for coming up with topics to write about. Once you’ve figured out what to write about, you’ll need to know how to get your content published on your new blog. 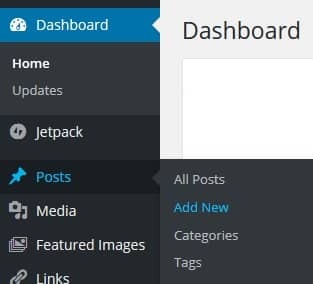 If you want to get some content online in just a few seconds, you can select Posts -> Add New on the left side of your WordPress dashboard. From there, enter a title and then start typing in the main window in the middle of the screen and hit ‘Publish’ on the right hand side, when done. Your content will be then be available online. It really is that simple. If you followed the steps above, you now have a fully functional WordPress blog/website, with some basic content published and it only took a matter of minutes. You have taken that all important first step, towards realizing your goals and dreams of starting an online blog or website. The sky is the limit on where you can take things from here! When you’re ready, be sure to check out my follow-up post entitled Top 10 Things To Do After Installing WordPress, to get suggestions on some great themes and essential plugins to install next. If you found this post helpful, be sure to subscribe via email for more great content and tips on how to achieve success with your WordPress blog. If you prefer to get your content in audio format, be sure to check out and subscribe to my Podcast on either iTunes, Stitcher or your favorite mobile app. There are over 75 episodes and counting. If you have any questions, or suggestions for topics you would like to see covered on the site or Podcast, feel free to drop me a comment below or via my contact page. Thanks and best wishes for success, with all of your blogging adventures!